The equality watchdog has called for action to improve the education of disabled pupils, tackle career stereotypes and improve the availability of flexible working, in order to close the gap in average hourly pay between disabled and non-disabled people. The overall disability pay gap is 14 per cent, but for some impairment groups it is much larger, the research commissioned by the Equality and Human Rights Commission (EHRC) found. The disability pay gap for disabled men is larger than it is for disabled women, because women are already likely to be paid less, and themselves face a gender pay gap of 18 per cent. The research was published as EHRC released Fair Opportunities For All, its new strategy for tackling disability, gender and ethnicity pay gaps. The commission said its research showed that the pay gaps experienced by disabled people, women and people from ethnic minorities “arise largely from the barriers they face getting into and progressing at work”. The key characteristics that contribute to these pay gaps include the concentration of disabled people in part-time jobs, their frequent lack of high-level qualifications, and their concentration in low-paid occupations, according to the commission’s research. But the commission said that discrimination and bias “may also play a significant role”, with employers “often influenced by the personal characteristics of individuals when deciding on recruitment, promotion and pay rewards, rather than basing their decisions on individuals’ experience and skills”. Caroline Waters, EHRC’s deputy chair, said: “The pay gaps issue sits right at the heart of our society and is a symbol of the work we still need to do to achieve equality for all. “Subject choices and stereotypes in education send children of all genders, abilities, and racial backgrounds on set paths. One previous piece of research found that applicants for accountancy jobs who said they were disabled received 26 per cent fewer expressions of employer interest than those who did not state they had an impairment. The failure of employers to provide reasonable adjustments is also a barrier to the success of disabled people at work, the commission said. EHRC said that part-time hours, job-shares and other types of flexible working should be available for all jobs, at all levels of organisations, even for the highest paid roles. It added: “Flexible and part-time working should not be an obstacle to career development and promotion. The commission called on the government to extend the right to request flexible working so it applies from day one in all jobs “unless there is a genuine business reason that means this isn’t possible”, and to expand gender pay gap reporting to cover disability and ethnicity pay gaps. Rules on gender pay gap reporting, which affect employers with more than 250 employees, were introduced by the government earlier this year. EHRC also pointed out that although the Office for National Statistics publishes an annual report on the gender pay gap, which had “helped to highlight the slow pace of change”, there were no such reports on disability or ethnicity. Among its other recommendations, EHRC called for efforts to improve the education of disabled pupils; ensure that careers guidance and work experience opportunities tackle stereotypes; and encourage wider subject and career choices for disabled students from primary school onwards. It also called on the UK, Scottish and Welsh governments to publish national action plans on closing disability, gender and ethnicity pay gaps. The EHRC research showed there was a significant difference in the pay gaps experienced by disabled people with different impairments. Men with epilepsy experience a pay gap of about 40 per cent, as do men with mental health conditions, while the pay gap for men with learning difficulties is about 60 per cent, according to research for EHRC by Dr Simonetta Longhi, of the Institute for Social and Economic Research, at the University of Essex. 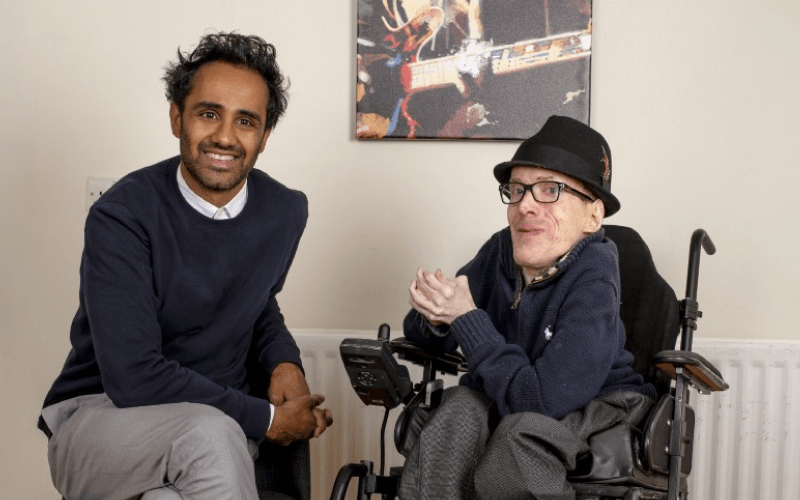 Minority ethnic disabled people tend to face a combined disadvantage, with disabled Bangladeshi and Pakistani men experiencing particularly large pay gaps. In another report for the commission, researchers at The Institute for Employment Studies (IES) concluded that closing the disability pay gap was “a distant prospect”, with “slow progress” and “almost nothing” known about how to address the problem. Employers’ efforts to address both the ethnicity and disability pay gaps “tend to lag behind those on gender”, while “poor quality data” means many employers are unable to diagnose the problem, according to IES. Previous research by the Business Disability Forum in 2015 found just eight per cent of employers set targets for promoting disabled employees, while only 42 per cent collect data on how many of their disabled employees receive training. But participants in a workshop for the IES research said the failure of employees and new recruits to disclose their status as disabled people was a “significant challenge for employers aiming to monitor and improve their performance in respect of disabled employees”. Kamran Mallick, chief executive of Disability Rights UK, said: “We welcome this survey from EHRC. “It demonstrates that for disabled people employment is not just about ‘getting in’ but also staying in and getting on. “We need to think differently about what it means to work. We don’t all have to aspire to work nine to five and Monday to Friday.